Paul George Theodore, MD, age 91, peacefully entered Heaven with his family beside him on Tuesday, January 22, 2019. He will be deeply missed by his wife of 60 years, Stella; his children, Julie (Jason) Theodore from Thousand Oaks, CA, Paula (Cameron) McKay from Comstock Park, MI and George (Stephen) Theodore from Brooklyn, New York; 4 grandchildren, Estelle Rhodes, Gabrielle McKay, Joshua McKay, Zemo Rhodes; sisters from his homeland of Greece, Ourania, Barbara, Kakia, Denesia; and several nieces and nephews. Paul was born in Pygros, Greece to the late George and Julie Papatheodorou and graduated with his medical degree from the University of Athens. He came to the United States in 1955 and completed his OBGYN residency at Rush University Medical Center in Chicago, IL. He met the love of his life, Stella Garikes, and they married in July, 1958, eventually settling in Grand Rapids, MI. He was in practice with Drs Ramon Lang and Joseph Moore for 30 years. Paul was an associate professor at Michigan State University. 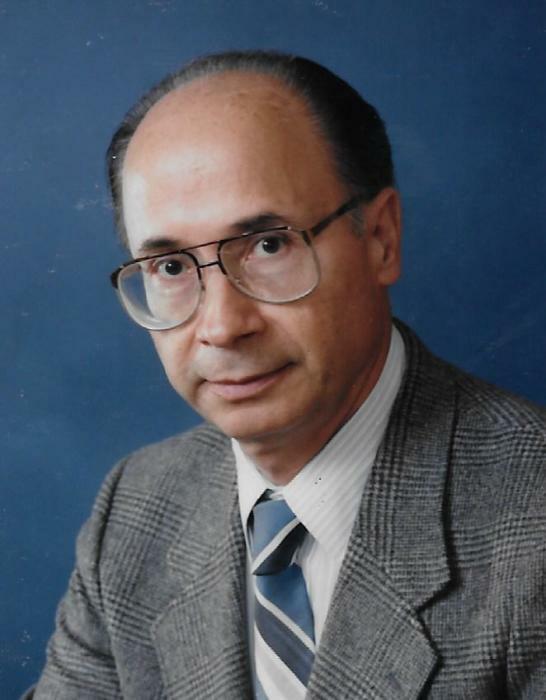 He was a member of the Kent County Medical Society, Michigan State Medical Society, the American College of OBGYN and the American Fertility Society. Paul enjoyed traveling, gardening, backgammon, chess, entertaining and was a volunteer at the Salvation Army Booth Clinic. The center of Paul's life revolved around his loving family and every baby that he helped deliver into this world. The family will greet visitors on Sunday, January 27, 2019 from 5:00 – 8:00 pm at Holy Trinity Greek Orthodox Church; whereby, a Trisagion service will be held at 7:00 pm. Funeral services will begin at 11:00 am on Monday, January 28, 2019. Interment will be at the Ada Cemetery. In lieu of flowers, contributions in memory of Paul may be made to St. Jude Children’s Research Hospital or Spectrum Health Hospice of Grand Rapids, Michigan. Special thanks to Leslie and Theresa from Spectrum Health Hospice for their invaluable support and caring.